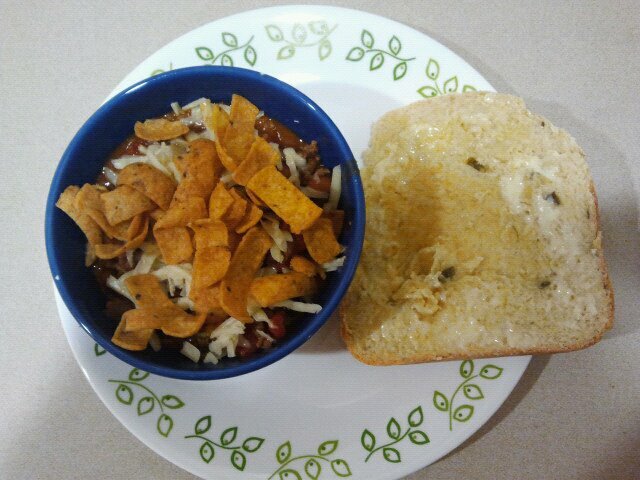 Taco Soup served with jalapeno cheese corn bread. My fiance and I flew from Seattle to Arkansas to have Christmas with his family in 2010. We were staying in the spare bedroom of his sister and brother in laws house. 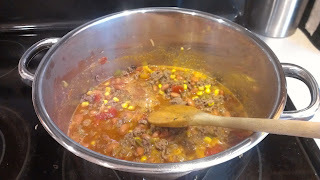 The night we flew in, dinner was ready and it was Taco Soup. 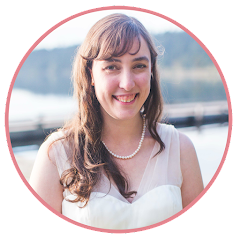 My fiance and I looked at each other and both thought simultaneously, "that sounds gross!" We dished up taco soup, topped with sour cream, cheese and fritos and it was delish!!! I immediately looked up a recipe when I got home. Here it is for you! I'll give you the brief directions first, perfect for copying to your cook book, then give you the more detailed directions with pictures. 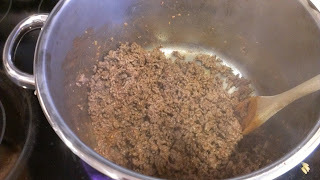 In a large kettle, cook beef over medium heat until no longer pink; drain. Bring up to a bubbling boil and reduce heat to low. 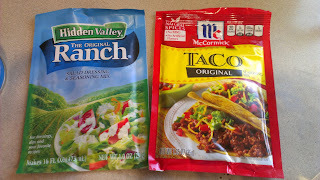 Dry ingredients: 1 packet of ranch dressing and 1 packet of taco seasoning. In a large kettle, cook beef over medium heat until no longer pink. Directions above say to drain, this is dependent on how lean your meat is. I find that with very lean, organic meat I don't need to drain. Stir in water, canned ingredients and ranch dressing packet. 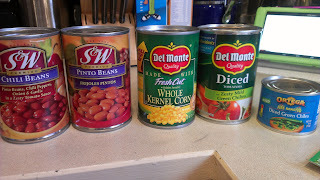 The corn you will want to drain, while the pinto/black beans will need to be drained, rinsed and drained a couple times. Bring to a bubbling boil, then reduce heat to low and simmer for at least 15 minutes, uncovered. Occasionally stir. Serve topped with sour cream, shredded cheese and Frito's. I took the above picture a year before the others. Can't believe I forgot to take a picture of the final product! Luckily I found this picture. Forgot that I had served this dish a couple times with a side of jalapeno cheese corn bread from the bread machine. Yum! 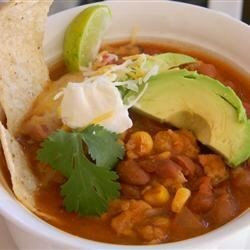 The original recipe I looked up is from Allrecipes.com called Simple Taco Soup. I didn't like the chunks of tomato, so I axed them. Sometimes I use black beans and sometimes pinto beans. The picture to the right shows it served topped with avocado, sour cream, corn chips, lime and cilantro. Looks yummy! I might have to try that. 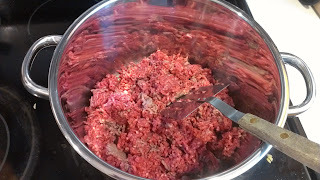 I could see cooking the beef, then putting all of the ingredients into a crock pot to simmer on low setting all day then coming home to a warm meal.